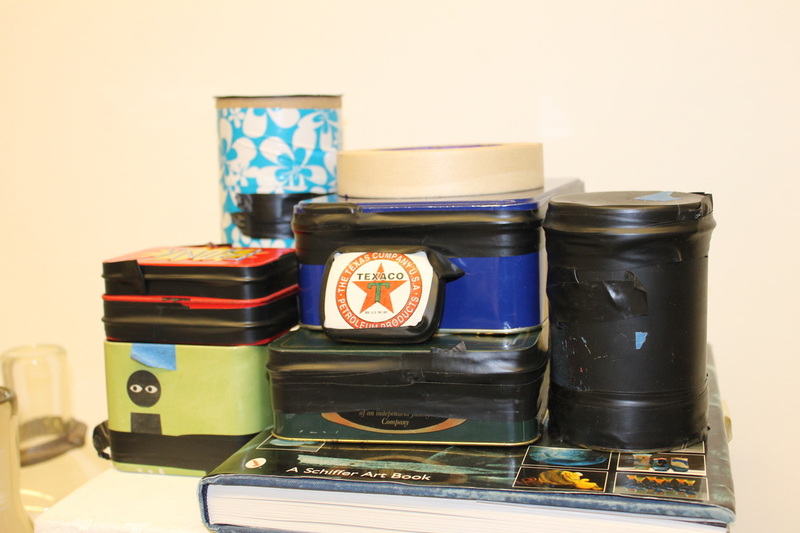 Tins transformed into pinhole cameras. Positive and negative pinhole image of glassblowing created with a paper negative inside of a round Care Bear tin converted into a camera, 2013. 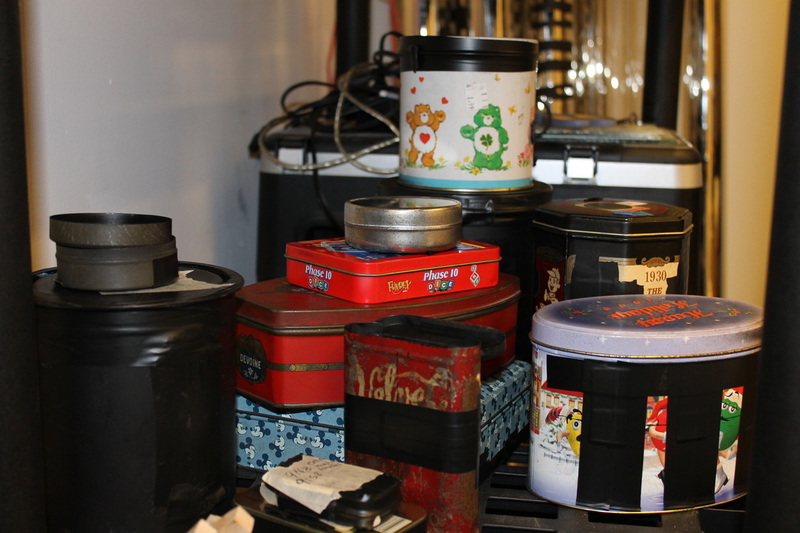 "Time Lapse Whiskey Tin", 2013. All four images were captured successively on one paper negative inside of one camera with four separate apertures. Each exposure took 20-25 minutes and were made successively from left to right.